TF-LLF I have had this model in my collection since the early 2000s. 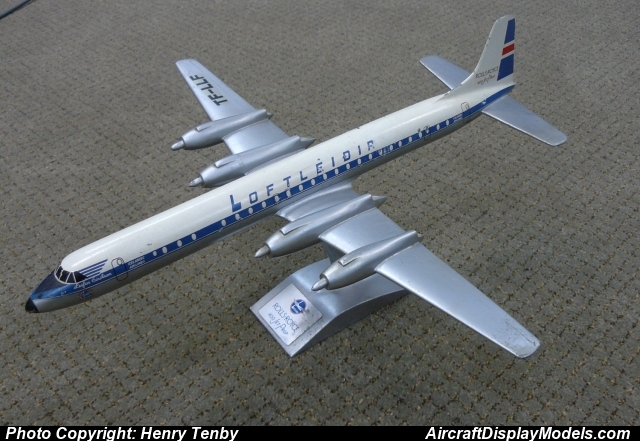 It is a really nice model as it is very accurate and I like the two piece join-up between the wings and fuselage. My example is by no means mint, but the Raise Up CL-44 models are quite hard to find. This is the one and only example I have seen for sale in the 20+ years I have been collecting. I had someone contact me and tell me this is a Schaarschmidt model. This is very possible but my model does not have a maker name on it .. that I can see.